Elevation Gain: While mostly downhill, there will still be at least 1500 ft. of uphill. 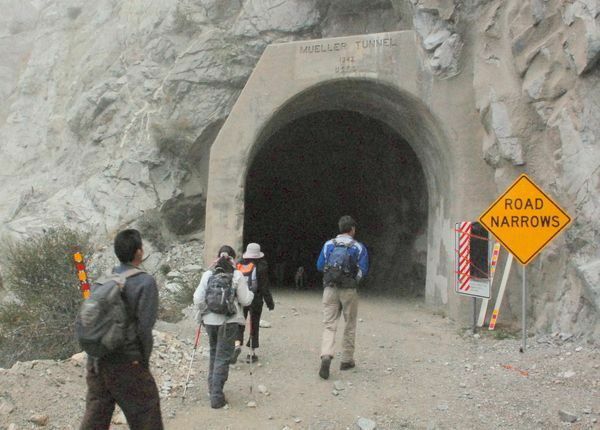 We will meet at the Switzer Falls lower parking lot, consolidate vehicles and then head 8:15 am sharp over to Mt.Wilson Road which will get us to the Eaton Saddle. From the Eaton Saddle we’ll hike to the Tom Sloan Saddle with a couple peaks we could check out including Mt. Lowe along the way. Then from the saddle we can head back to our cars at Switzers via Bear Canyon. 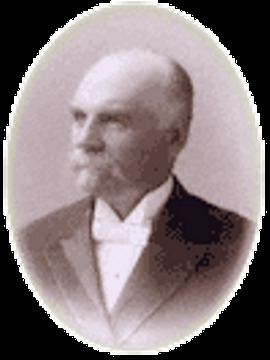 By the time Thaddeus Sabieski Constantine Lowe retired to Southern California in the late 1880’s he had achieved more than most. The New Hampshire native and father of ten children had built the largest balloon ever known for use in an attempt to cross the Atlantic Ocean and had served his country as the founder and Chief Aeronaut of the Balloon Corps during the Civil War. Lowe designed and patented, among dozens of other things, a portable hydrogen gas generator, an altimeter for use without a horizon, a system of aerial signal flags for directing artillery fire on targets not seen by the ground crew, an artificial ice and refrigeration apparatus, founded a gas works in Pennsylvania for the illumination and heating of both commercial and residential structures, and began dabbling in the banking industry. Before heading down Bear Canyon we’ll take a snack break at the surprisingly remote, surprisingly large and well-maintained Bear Canyon Campground. The campground has lots of cleared space, plenty of metal fire rings, picnic tables, and even some metal stoves. Although the camp felt pretty out-in-the-middle-of-nowhere, it’s really only a bit more than three miles in from Switzer’s and just a little farther from the other side of the mountains in Altadena. From here, Bear Canyon offers a good chance for solitude, at least until we approach the Switzers area. There’s also some top-notch swimming holes down here. Nothing has the simultaneous waking-up and calming-down effect like a good splash in ice-cold mountain water. 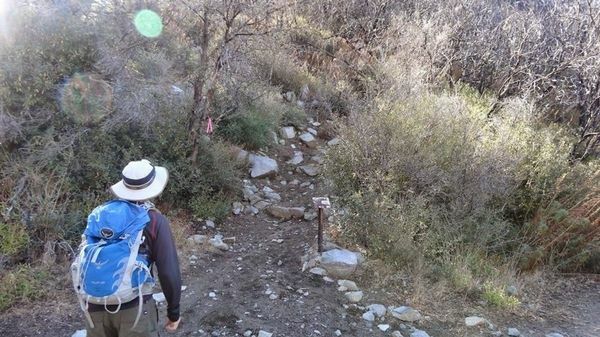 Switzer is a relatively easy hike into one of the loveliest sections of the San Gabriel mountains. 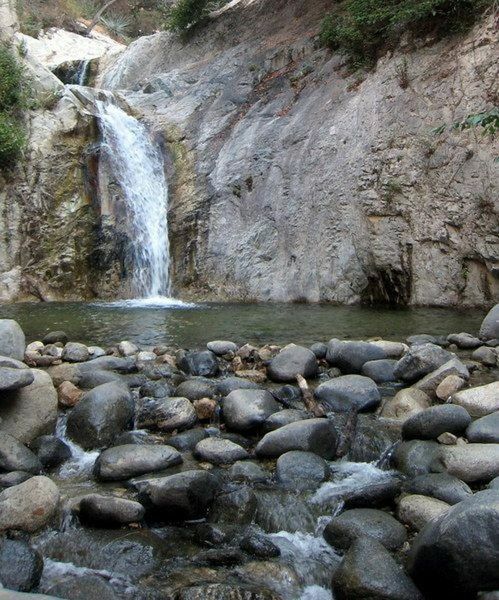 The hike meanders back and across the stream running down the spectacular Arroyo Seco Canyon. The stream is lined with oaks and alder, with the water cascading over granite into mirror-like pools. The hike travels high above the 50 foot high Switzer falls, then drops back to the stream, where hikers can double back to stand at the base of the falls. The trail is good, but there are some steep drop offs in a couple spots. It is well shaded. Directions: From the 210 Freeway, exit at Angeles Crest Hwy (SR 2) and go north. 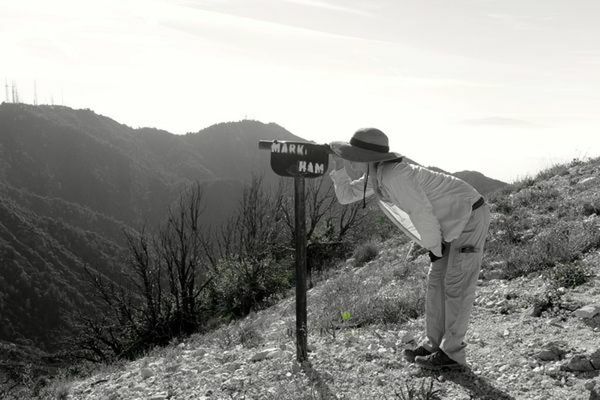 At 9.5 miles, you will come to the Clear Creek Information Station and the junction with Angeles Forest Highway. Continue straight on SR 2 about ¼ mile and you will see the Switzer’s Picnic Area sign and a large entrance gate on your right. Turn right and drive go past the gate,the road will go downhill 0.6 miles to the large paved parking area next to the creek. These locations do require a National Forest Adventure Pass for parked vehicles. These passes can be purchased at most ranger stations (if open) in the area of our hike, most sporting goods, convenience stores and gas stations. The cost is $5/day or $30/yr. When buying an annual pass for $30 you can also buy an additional annual pass for $5. Splitting this fee with someone is the most economical way to get the passes. A National Parks Pass can also be used for parking as well and should have come with a rear view mirror hanger. PLEASE – Know your limits and abilities. 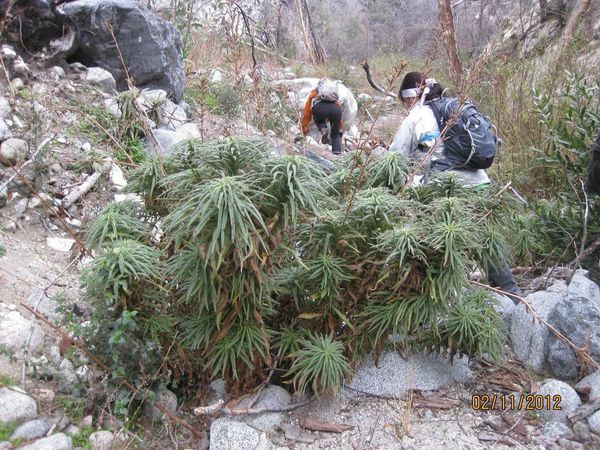 Bring and drink plenty of liquids when hiking. Check weather conditions and dress accordingly and be aware of your surroundings at all times. Watching out for snakes, ticks, uneven footing, spectacular views, beautiful fauna all while carrying on a conversation with awesome (usually) fellow hikers can be extremely hazardous, rewarding and fun. POODLE DOG ALERT: This area will have the dreaded poodle dog bush which to some can have an effect worse than poison oak. Once identified it should be easily avoidable.